My how things can change. 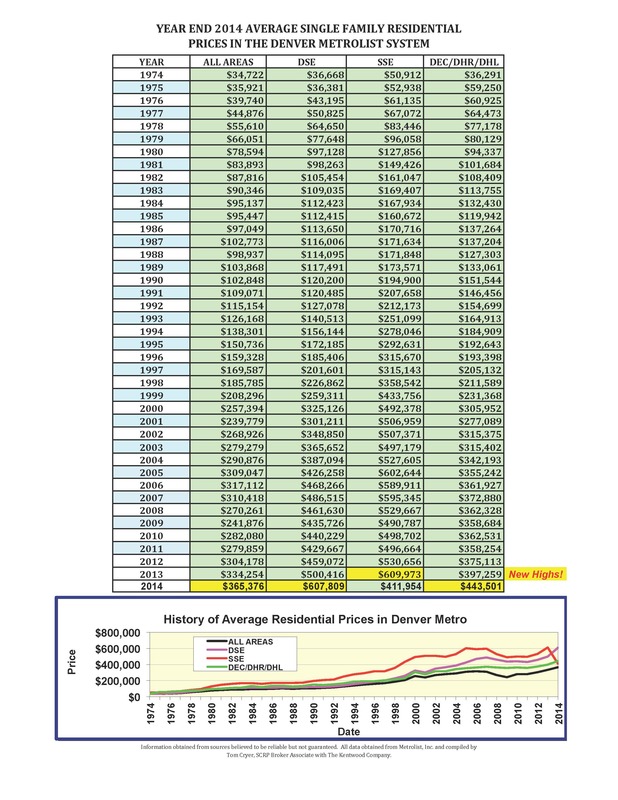 When I look back on our Denver Market Watch publication we have learned a lot. That being said, predicting any market is for “fools and newcomers”. Just a few years ago, we were listing almost three houses for every one closing. 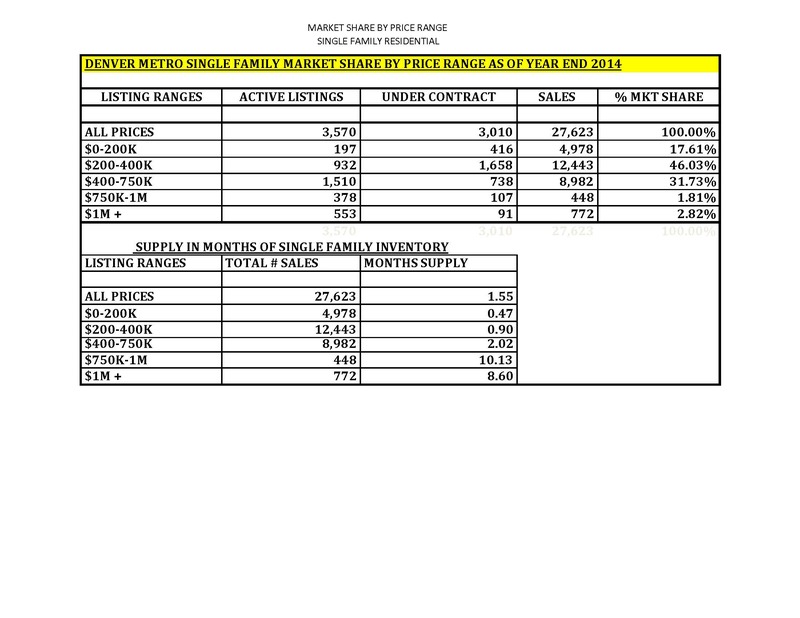 During 2014, we were barely able to find one new listing for every closing. This is a shortage of monumental proportions! Anecdotally, we are witnessing stories of buyers that have “given up”. With too much competition for the few listings coming on the market, these buyers have hunkered down in their rentals hoping for a more forgiving market. This has resulted in these highest occupancy rates for rentals ever recorded. On the other hand, we are witnessing sellers being fearful to place their own homes on the market for fear of not finding a place to go. when people are fearful be greedy”. What we have in Denver right now is two groups of fearful people, buyers and sellers. This stalemate and lack of friction in the market right now will change. Supply will build as sellers take profits, buyers will emerge from their rentals and new construction will slowly add even more opportunities to the market. It’s happened before. In 1977, in 1992, in 1999 and over the last three + years, we have dipped into this “shortage” market again, albeit as short as I’ve ever seen it! What makes this time different? New construction, pure and simple, we have weathered 7+ years of an historic low of building permits issued. Only now are we emerging to a solid market where the homebuilder has returned, but at a much slower pace than previous recessions – recoveries. Can this market change and change quickly? Yes it can! I personally don’t think people are being greedy yet, so I’m not fearful, but conversely, I don’t think it is a good time to be greedy either. What should happen is a transition into a balanced market. From there, the future will become more definable. 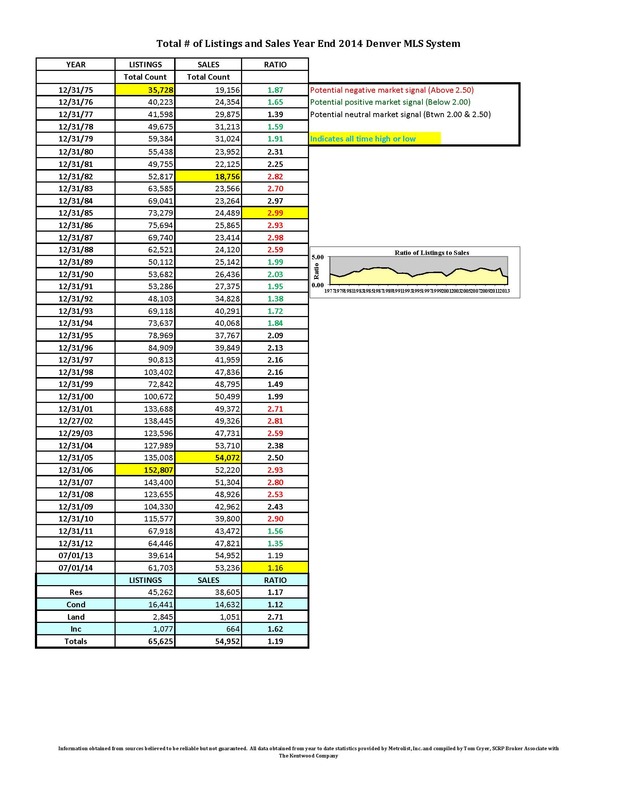 Only time will tell what happens in this market, but when I was looking at average prices in 1974 of $34,722 a BMW was about $4,000. Today, our average price is $365,376 and a BMW is about $40,000. Can you envision an average price of $3.65M in another 40 years? This entry was posted in Denver Market Watch and tagged Denver Market Watch. Bookmark the permalink.